New ListingSamsung RF265BEAESR 36 In French Door Refrigerator Built-In Cameras Stainless S.
Samsung RF265BEAESR. Refrigerator Capacity: 16.2 Cu. Drawer Divider Tempered, spill-proof shelves contain spills and are durable enough to support a full refrigerator's worth of food. This model includes. 5 out of 5 stars - Samsung RF265BEAESR 36 In French Door Refrigerator Built-In Cameras Stainless S.
1 product rating1 product ratings - Samsung RF265BEAESR 36 In French Door Refrigerator Built-In Cameras Stainless S.
Brand New! Factory Sealed! - Ebay Daily Deal! KitchenAid - KRMF706ESS. We are a proud sponsor of Ronald McDonald House. Transferable Contracts may be transferred from owner to owner with no transfer fees. Whether the product is sold or given away, it will maintain its full coverage. Model: LSXC22396S. Refrigerator Capacity: 14.34 Cu. Counter Depth: Yes. Refrigerator Features. Cabinet Color: Grey. Color: Stainless Steel. Door Color: Stainless Steel. Door Finish: Smooth. LG Smart Wi-Fi Enabled InstaView™ Door-in-Door® Refrigerator. 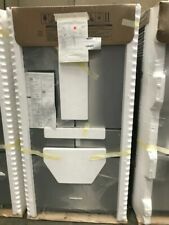 Whirlpool W2RXNMMMWL Stainless Steel Refrigerator Silver. Condition is Used. Shipped with USPS Priority Mail. Type: Top FreezerBrand: WhirlpoolCapacity: 20-30 cu ft.
LG Smart Refrigerator / InstaView / Door-in-Door / Bottom Freezer. LG LSXS26366S 36 In Stainless Steel Side-by-Side Refrigerator. GE Profile PZS22MSKSS Series 21.9 Cu. Ft. Counter-Depth Side/Side Refrigerator. M-F: 9:00am-5:00pm MDT. Model # WRX986SIHZ. Item has been tested and inspected. Handles and accessories are inside refrigerator. Local pick up. There is a bent in the front.Shipped in 10 days. SKU: 18390. Freezer Divider Yes. Refrigerator Capacity 17.97 cu. Refrigerator Door Bin Quantity 3. Refrigerator Total Shelves 4; MicroEdge. The unit is new. The top handles are not flush with the stainless. ABOVE THE WATER DISPENSER. INSIDE WALL INSIDE THE FRIDGE. FRENCH DOOR REFRIGERATOR. ft. Counter-Depth French Door Refrigerator with Glass Shelves. COUNTER DEPTH. Water Dispenser : External. Can Dispenser : No. There may be other minor imperfections present that can go unnoticed in certain lighting conditions. See our website or call us for hours. Condition . Model Number KRMF706ESS. SKU: 21772. Refrigerator Capacity 25.8 cubic feet. Refrigerator Type Bottom Freezer. Ft. 5-Door French Door Refrigerator. The unit is new out of box. The middle drawers have discoloration and scratching along them. GE Café™ Series ENERGY STAR® 23.1 Cu. Ft. Counter-Depth French-Door Refrigerator. M-F: 9:00am-5:00pm. Model LFXS26596S. SKU: 32754. Refrigerator Capacity 17.2 Cu. French Door Style 3 Door. Door Style French Door. Style French Door. Door Color Stainless Steel. Color Stainless Steel. Samsung RF28JBEDBSR. FlexZone™ Drawer. The adjustable Smart Divider allows for smart organization and the drawer is easy for kids to reach. FlexZone™ Drawer Specifications. FlexZone™ Drawer Refrigerator Capacity: 15.7 Cu. We are a certified GE dealer. This unit is available for Free Local Pickup in the Tri-State area (NY,CT,NJ). We can assist with loading of the unit onto you vehicle. New - Out Of Box Show Room Display Model - No Scratches or Dents. Model RF23M8070SR. Refrigerator Capacity 13.2 Cu. French Door Style 4 Door. Door Style French Door. Style French Door. Door Color Stainless Steel. Color Stainless Steel. Glass Door No. Model RF22K9381SR. SKU: 33634. Refrigerator Capacity 17.65 Cu. French Door Style 4 Door. Door Style French Door. Style French Door. The unit is new. There are two visible dents on the top right door. Model WRX735SDHW. Refrigerator Capacity 17.78 Cu. Counter Depth No. French Door Style 4 Door. Door Style French Door. Style French Door. Spill Safe Shelves Yes. The unit is new. KitchenAid 25.8 Cu. Ft. French Door Refrigerator Black stainless KRMF706EBS. Kitchen Aid KRMF706EBS. Ft. Black Stainless Platinum Interior French Door Refrigerator. Refrigerator Capacity (Cu. Overall Capacity (Cu. ). Model GFD28GSLSS. Refrigerator Capacity 18.6 Cu. French Door Style 3 Door. Door Style French Door. Style French Door. Door Color Stainless Steel. Color Stainless Steel. Cabinet Color Stainless Steel. SKU JFC2290REM. Product Number JFC2290REM. SKU: 31321. Refrigerator Capacity 16.35 cu. The unit is new. Style French Door. Spill Proof Shelves Yes. Door Color Stainless Steel. GE Cafe CWE23SP3MD1 Matte Black 23.1 Cu.Ft. Counter-Depth Refrigerator. M-F: 9:00am-5:00pm MDT. 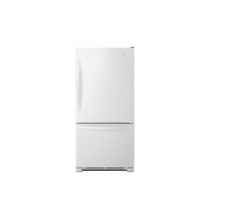 Frigidaire FG4H2272UFGallery 36" 21.8 cu.ft. Stainless Steel Counter Depth French Door Refrigerator. PICK UP ORDERS. 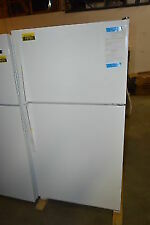 Brand: FrigidaireCapacity: 20-30 cu ft.
Ft. French Door Refrigerator. Samsung RF28JBEDBSG. Refrigerator Capacity: 15.7 Cu. ft. Capacity Samsung 4-Door French Door Refrigerator with Food ShowCase Fridge Door. ft. Capacity Samsung 4-Door French Door Refrigerator with Food ShowCase Fridge Door. Upgrade your fridge with the Samsung 4-Door French Door with 21.5 in. Connected Touch Screen Family Hub Refrigerator. It can fit everything you need with 28 cu. ft. of capacity. With the Family Hub, it is easy and simple to manage your food. The unit is new out of box. There may be other minor imperfections present that can go unnoticed in certain lighting conditions. Condition . GE Monogram 42" Built-In Side by Side Refrigerator. Professional Sales Staff On Hand To Handle All Your Appliance Needs. We are a proud sponsor of Ronald McDonald House. We have 11 Free Standing Locations in Colorado. LG 36" 4-Door French Door Wi-Fi Door in Door Refrigerator. 2-Year Product Protection Plan - 149. SKU: 29642. The unit is new. Dent on lower edge of left side. Dent on left side towards back. The following specifications & features are based on this item's Base Model Details provided by the manufacturer. Depth: More than 30 in. SpacePro™ Fixed Door Bins: 2 White (1 per door). Smudge-Proof™ Stainless Steel. Stainless Steel. Depth (with Door 90° Open). Depth with Door Open 90˚: 42-1/2". Drawer Trim. Drawer Trim Color. Trim Kit Option 1. GE Energy Star GNE21FSKSS 20.8 Cu. Ft Stainless Steel French Door Refrigerator. The unit is new. There is a minor dent located on the lower section of the front face near the bottom edge. The bottom drawer handle has multiple minor dents across its right side. There are multiple minor dents across the bottom section of the right side of the unit. GE Café™ Series CFE28USHSS 27.8 Cu. Ft. French-Door Refrigerator with Keurig®. GE ENERGY STAR GFE28HSKSS 27.8 Cu. Ft. Stainless Steel French-Door Refrigerator. GE GZS22DGJWW 21.9 Cu. Ft. White Counter-Depth Side-By-Side Refrigerator. M-F: 9:00am-5:00pm MDT. SKU: 26203. Refrigerator Capacity 16.3 cu. Parts/Labor, Refrigerator 1 Year. FlexZone The versatile, bottom-right door can be a fridge or freezer, maximizing fresh food storage space. Four customizable temperature settings: Fridge at 41°F Chilled at 30°F Soft Freeze at 23°F Frozen at -8°F to 5°F. Model PFE28KSKSS. Refrigerator Capacity 18.6 Cu. French Door Style 3 Door. Door Style French Door. Style French Door. Door Color Stainless Steel. The unit is new. The unit includes handles, shelves, bins, and manuals. Model: FFSS2615TS. Refrigerator Capacity: 16.5 Cu. Counter Depth: No. Refrigerator Features. Color: Stainless Steel. Door Color: Stainless Steel. Glass Door: No. Ice Dispenser: Yes. GE ENERGY STAR GFE28GSKSS 27.8 Cu. Ft. Stainless Steel French-Door Refrigerator.